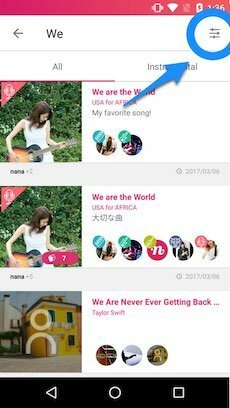 Welcome to "nana", the social music app where you can connect with people across the world through music! You don’t have a microphone or recorder? Don’t you worry, you got nana! On nana, you can record your music with just 1 click! Easy peasy! 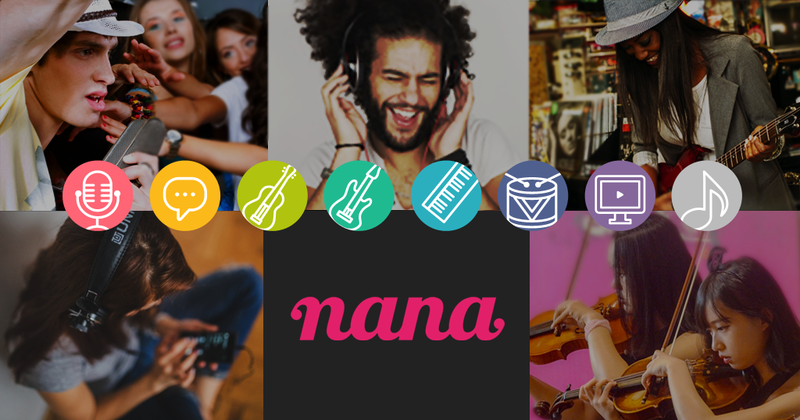 There are more than 10 voice effects on nana.Choose your favorite voice effect and adjust the volume. Once you get your audio ready, it’s time to share your music! You can post your music very easily and use hashtags to gain followers. 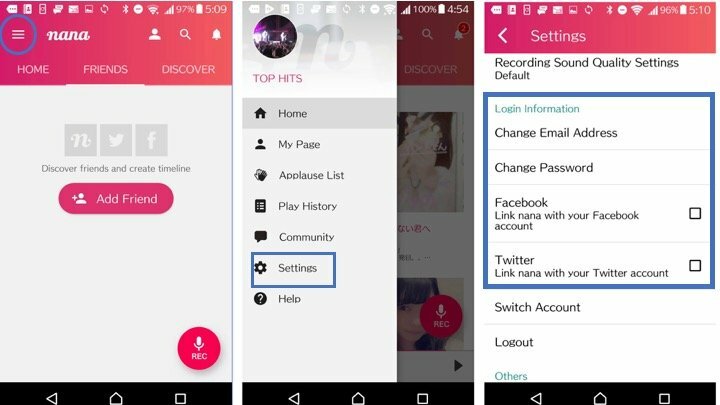 On nana, you can collaborate with other users by overdubbing. This is what we call “Collab”. Find your favorite artists/songs, collaborate with others and make music! 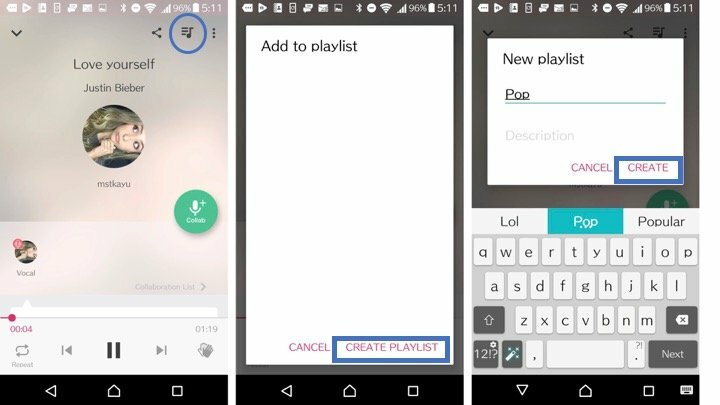 You can create your own playlist and add your favorite tracks by clicking on “Add to Playlist” icon. 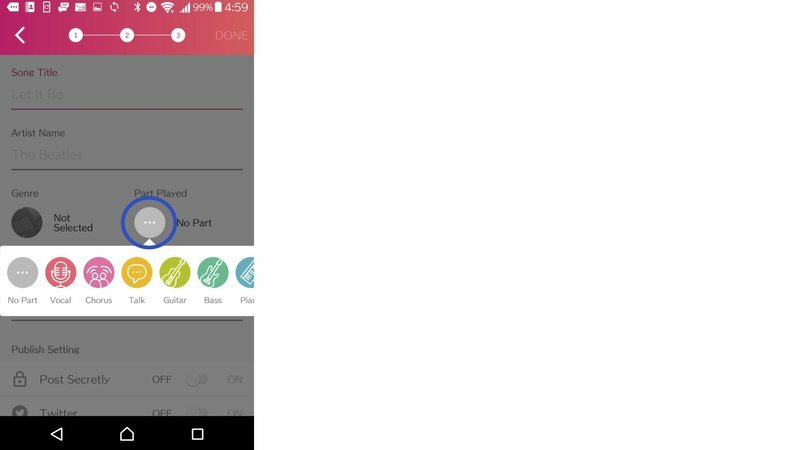 There are various kinds of communities on nana. Join a Community that interests you and share interests/information! Now you know what you can do on "nana". So let's get started! 1. 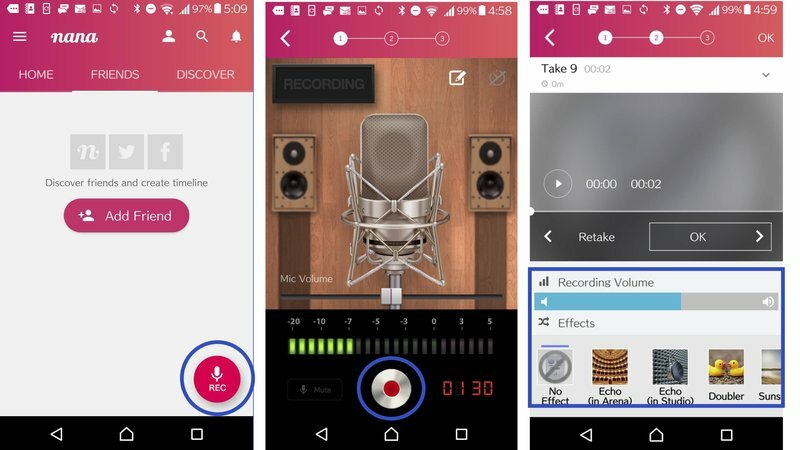 Click on "Record button" and sing/play your music. 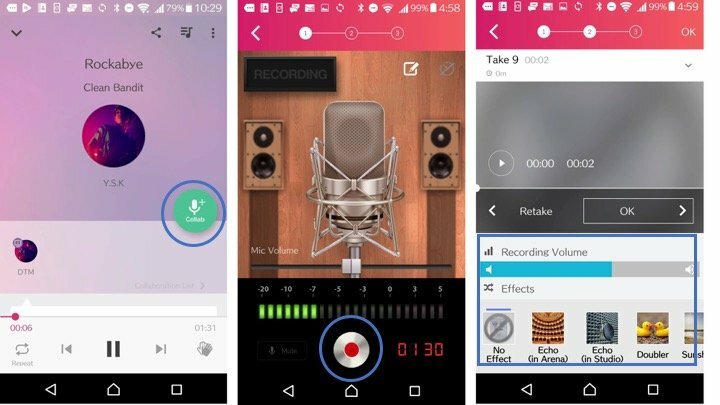 Sing or play your music to your phone! 2. Chose your icon to identify yourself. 3. Done! Post and Share your music! This is the most fun part of nana. 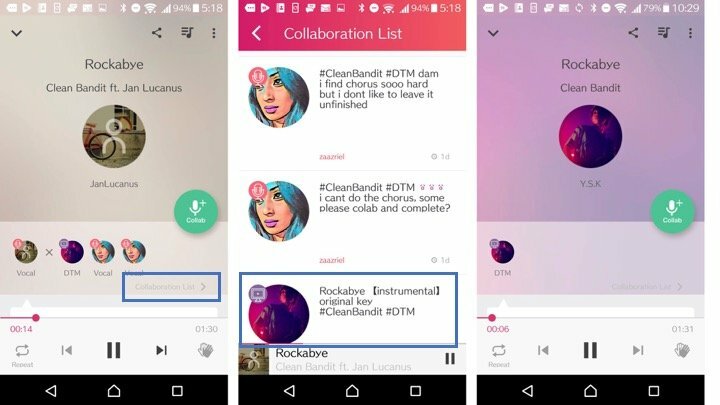 Our “Collab” function allows you to collaborate with other users across the world and make new music by layering music. But how do you collab with others? First, let's see how you can find tracks to collab with on nana. 2. 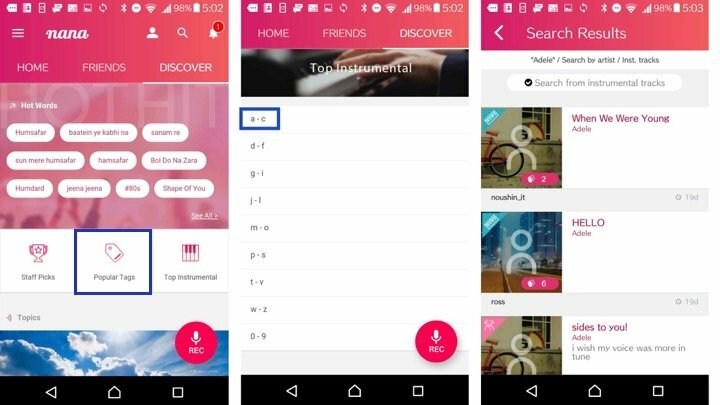 Type in keywords to search and pick a track you want to collaborate with! 2. Find a track from "Top Instrumental"
1. If you already have your favorite "Collab-ed" track, click on the users icon who collab-ed the track. [IMPORTANT] : Add your Email Address or connect to your Facebook/Twitter account to avoid any log in error. Make a playlist and put your favorite tracks together. You can add up to 15 tracks to each playlist. 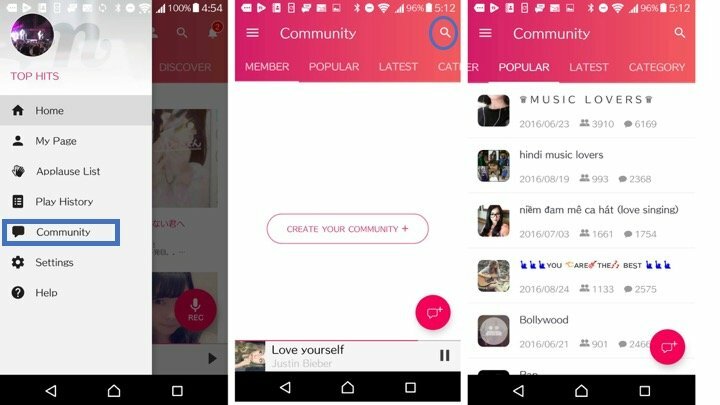 Join a community to share your common interests or music and literally anything. Connect with people and enjoy! 2. Search a community that interests you. 3. Join and get involved!